Gemma Craven might not be a household name, but her work is: as a digital member of the team behind Fearless Girl, she drew on almost two decades of experience to help State State Street Global Advisors’ stunt go viral. Craven’s career began in the early 2000s in London, where she was part of the TSI team that launched IBM’s groundbreaking Deep Blue chess playing computer. She has since created deep social and digital capabilities for American Express, British Airways, Coca-Cola, IBM, IKEA, Microsoft, Nestlé, Unilever and UPS, among others. She has also driven first-to-market customer engagement solutions for media companies such as Viacom, the BBC and ESPN. At McCann NY, Craven focuses on digital evolution, integrating social and mobile thinking across clients. She is the lead author of LIVE, McCann's global social media operating system, used to developed a common best practices approaches to social media for all clients. She also leads global partnerships with social platforms, including betas, roll-out of training for all employees and joint PR. Her department of 40 includes social creatives, strategists and analysts. During Craven’s tenure as director of social and mobile, McCann New York has received widespread recognition, including in the digital arena. In 2016, Lockheed Martin’s "Field Trip to Mars" virtual reality school bus was the most-awarded campaign at the Cannes Lions festival. For the past two years, McCann NY was the most-awarded Cannes agency in North America. It was named in 2017 that as the Digital Agency of the Year at the ADC awards. 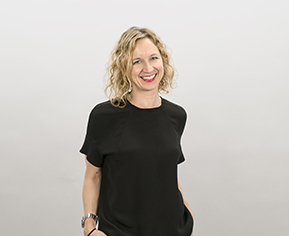 Previously, Craven held senior positions at Ogilvy, including three years as NY Group Director for Social@Ogilvy, where she grew the practice from two people to a multi-million-dollar division that was named the Holmes Group’s 2013 social agency of the year.